Flush fit ceiling light 'Parkman' a white glass dome shade inverted on a polished back plate , makes a period yet modern addition to the home. This classic style will stand the test of time enduring good looks and quality materials makes a good choice for homes of all styles. 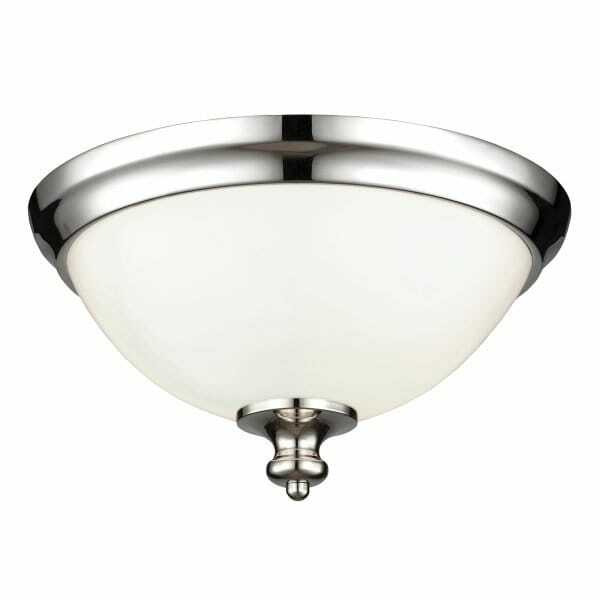 Great in hallways, bedrooms and kitchens or rooms with lower ceiling heights.